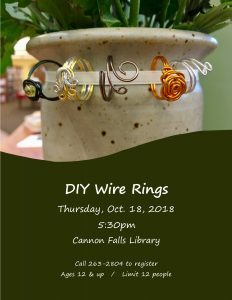 It’s DIY night at the library, come make wire rings. All supplies are provided. Registration is required and space is limited to 12 people, so sign-up early.